If it's comfort, space and performance you want, then you can't go wrong with one of these premium models. But it's not all German makes with a few surprises in this top 10. So here are the most popular large premium cars as decided by you our readers, calculated by which reviews have the most page views. It's not your traditional 'executive' saloon but the F-Pace is very much a premium and upmarket large car. And one that's clearly proving popular with you - our audience. It may be a posh Jaguar but it's also good value for money. The F-Pace is competitive in terms of price with the Audi Q5 and Mercedes-Benz GLC but offers more interior space. The 20d engine isn't the best but the ride is superb. 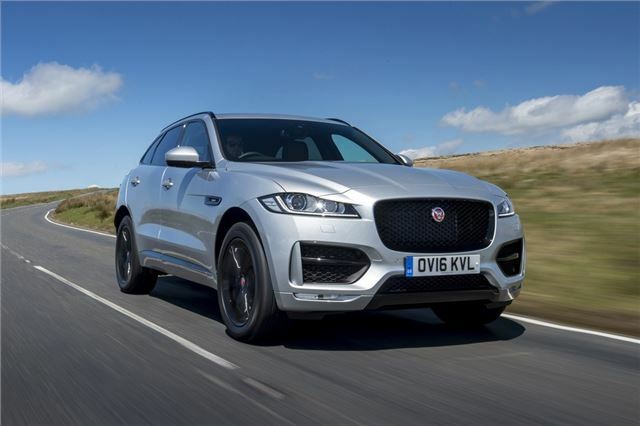 However the F-Pace really excels when it comes to handling. It matches the excellent Porsche Macan for cornering prowess and feels more like a sports saloon than a big SUV, with surprising agility.